I love flowers and observing them outside. The science teacher in me also adores taking photos to capture their beauty. You may think this means that I like cut flowers in my home, but it would not be true. It sounds silly, but I do not like watching flowers die in front of my eyes. Flowers are at their best when they are still on their full stems and with nature. 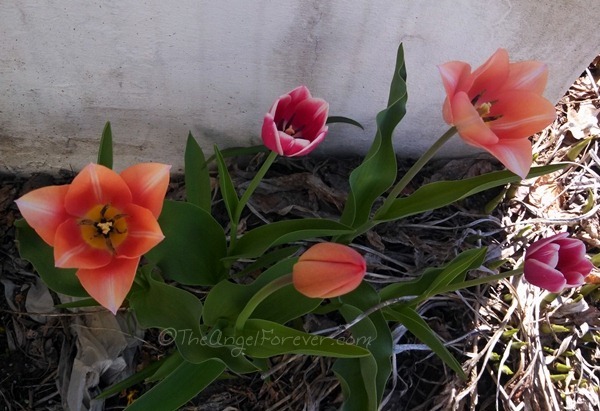 For some reason, the flowers in the spring time really catch my attention, especially tulips. 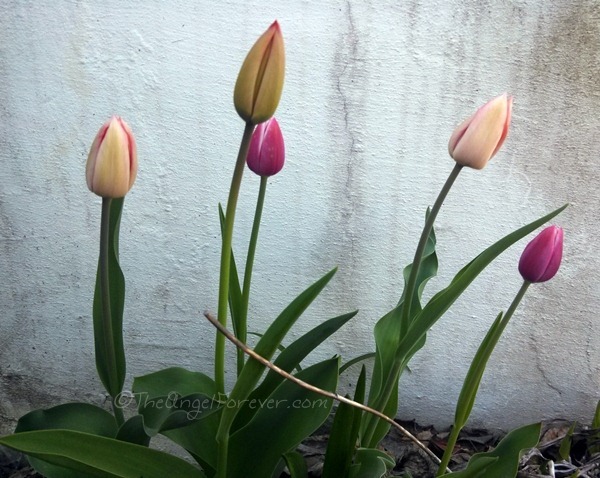 It fascinates me to watch as tulips push up from their bulbs each Spring. Some years, we may only have two, other times there may be many more. Each morning, I watch them to see if they survived the night. I can count each of the tightly wrapped buds and see that they are sheltering the beauty within. Thanks to animals, we never know what may or not make it through the night. 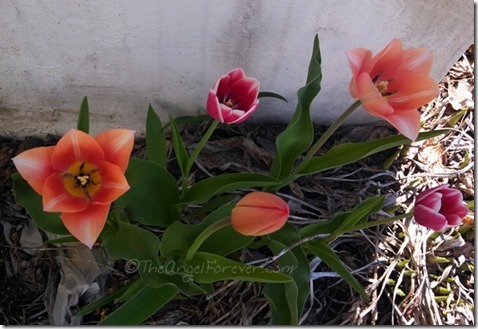 While the tulips are around, I often find myself walking around to catch them at different times of day. Just a few hours after they were closed up, they finally opened up for the first time this spring. 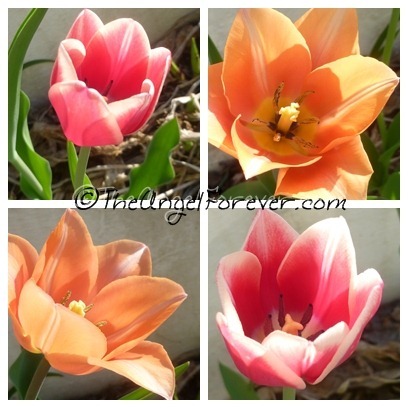 Then their inner beauty shows through as they open their petals, shimmer, and shine in the warmth of the Spring sun. Do you ever take time to tiptoe through the tulips as they say? You know, just take time to observe the beauty around you and forget for a little while about the worries and chaos that can be day to day life.